Wonderful collection of pics from one of my favourite sites, Vintage Everyday. Click on the link to see them all as I’ve only included some of them here. Sharon and the Coke ad! 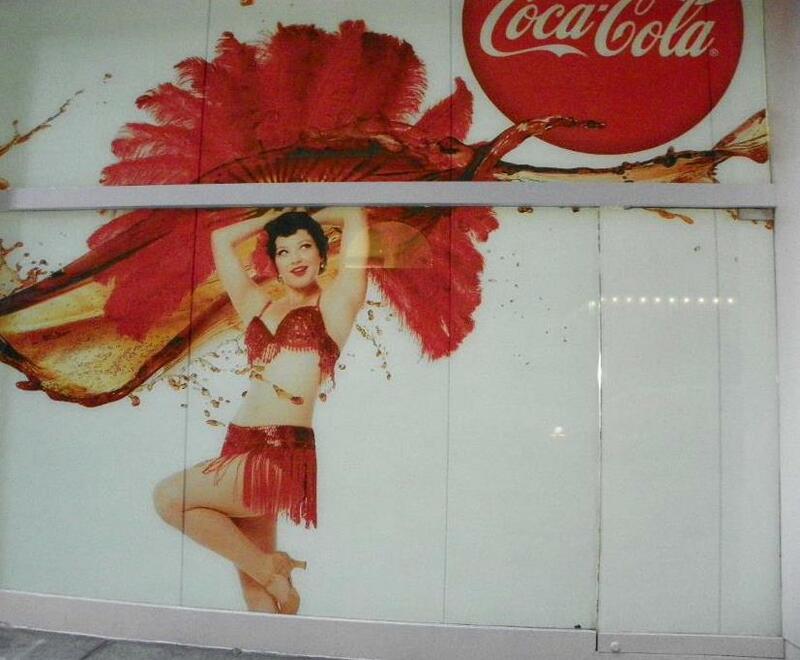 Well, wasn’t I thrilled to see my Swing Fashionista co-writer and friend, Sharon Davis, splashed across a subway billboard for Coke in New York! Spotted this on Facebook and thought I share it here. Putting a bit of vintage glamour in to everyone’s day as they catch the train. Go Shaz! Posted on 1 May 2012 13 November 2013 Author MichelleCategories On The StreetTags burlesque, Coke, New York Subway, sharon davis2 Comments on Sharon and the Coke ad! A fabulous shot of 3 men enjoying a picnic. With a closeup showing a love of striped socks. In the day it was a way young men could express themselves in a society where rules on how to dress were still in place. Sometimes in the UK they were made in the school colours. Not a bare head in sight, even during the dark times of the Depression, men still took pride in the way they dressed on a daily basis. It’s been a hard week for myself and SF co-writer Sharon Davis. One of our dearest friends passed away very suddenly on Monday January 23rd at the young age of 32. Paul Verevis was my swing dance partner in a performance team for many years, fellow committee member for Perth Dance Society in the past, my Balboa partner and most of all; one of my closest friends. Paul was liked by everyone who met him, not only here in Perth but all over Australia and the globe. He was one of those people who exuded happiness, warmth and joy, which is a rare thing these days. He was also a great dancer and loved the swing dance scene and all the friends and opportunities it brought him over the 10 years that we knew him. I’ve never known such a kind, generous, caring soul who was so full of fun and life and I will miss him terribly. Always smiling and joking around and never afraid to make fun of himself. I am so very glad to have had the time with him that I did. Everyday men of the 1930s. Such wonderful shots of men relaxing, going about their everyday business and hanging out with friends. Even the casual clothing of the day never looks just ‘thrown together’. The various pieces of each ensemble always appear to be chosen with care. I LOVE the third pic from the top. Those chaps look like they are having a ball! Thanks to The Sartorialist for the last 4 pics.